Three weeks after a devastating earthquake in Nepal that left more than 8,000 people dead, a second quake rocked the region. According to the Associated Press, at least 65 people were killed and nearly 2,000 were injured in the magnitude-7.3 quake. 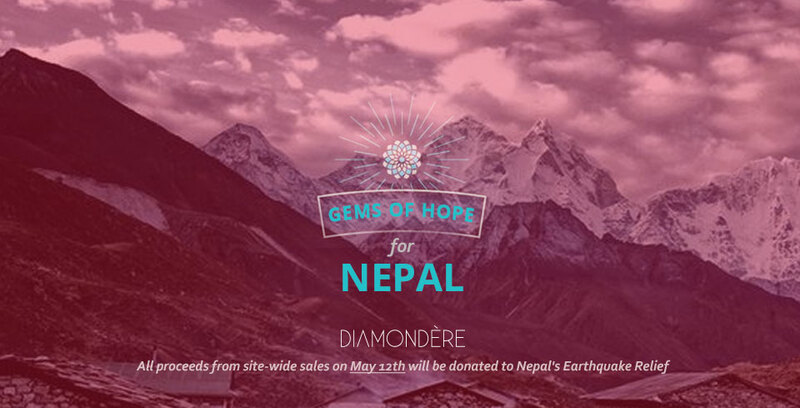 Numerous individuals, organizations and businesses have stepped up to help with the relief efforts in Nepal, including online luxury jewelry company Diamondere. 100% of the proceeds purchased site-wide today, May 12, will go to help with Nepal Earthquake recovery. Join the conversation online with #gemsofhope.